In its soon-to-be 10 (short) years of business, Herschel Supply Co. — or Herschel, as it’s simply known — has already established itself as a modern classic brand. In its 31st year, homegrown #LoveLocal brand Bench celebrates the second edition of its emerging fashion design competition – the Bench Design Awards. Kim Jones is asking you to slow down. It’s been a ride,” says Vania Romoff, speaking about her newly minted retail studio inside Power Plant Mall. Original Penguin looks back on the golden age of cinema for the release of their fall/winter 2016 collection. 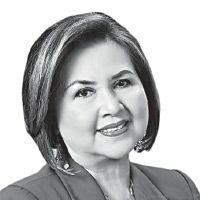 The Philippine retail landscape is growing at an unprecedented pace — owing much of 2014’s uptick to the unceasing surge of international High Street brands.